"As Chafets reports in the book’s acknowledgments, it was not easy finding a publisher willing to take on such a book, unless it had the words 'idiot' or 'liar' in the title, since, as one friend explained it to him, 'I have to go out for lunch in this city every day.'" Some time ago someone offered me a book from a political writer about how he'd fix things. 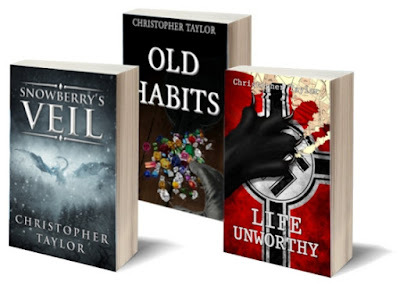 The guy had pretty typical leftist solutions, presented in a more moderate tone, and when I leafed through the book I recognized everything from my past. I used to think like that, back when I was young, so I knew what he was saying and why. So I turned it down, and I think he figured I was refusing to broaden my mind and see what people I disagree with had to say. That does happen often, though. Take Rush Limbaugh, for instance. I don't listen to him much any more because I'm usually working on this blog when he's on and I work better without the distraction. Still, I did listen to him and learn what he was about, and I understand why he's so popular. Most leftists won't go there, which is fine, but the problem is, they act as if they have Rush all figured out (and his audience) without bothering to find out. 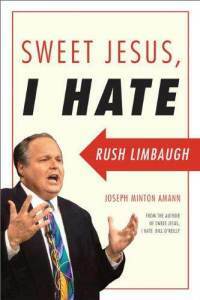 It also points to a curious fact about Limbaugh’s standing in the mind of much of the American media and the American left. Even though they talk about him all the time, he’s the man who isn’t quite there. 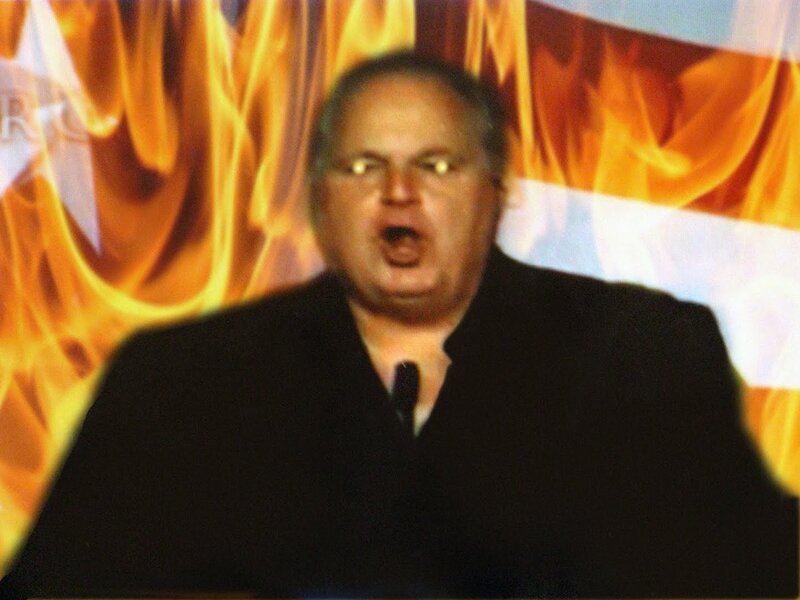 By which I mean that there is a stubborn unwillingness, both wishful and self-defeating, to recognize Limbaugh for what he is, take him seriously, and grant him his legitimate due. Many of his detractors have never even listened to his show, for example. 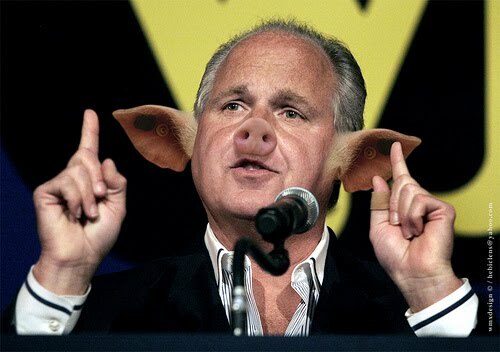 Some of his critics regularly refer to him as Rush “Lim-bough” (like a tree limb), as if his name is so obscure to them that they cannot even remember how to pronounce it. In short, he is never quite acknowledged as the formidable figure he clearly is. Instead, he is dismissed in one of two ways—either as a comic buffoon, a passing phenomenon in the hit parade of American pop culture, or as a mean-spirited apostle of hate who appeals to a tiny lunatic fringe. These two views are not quite compatible, but they have one thing in common: they both aim to push him to the margins and render him illegitimate, unworthy of respectful attention. As McClay points out, this actually works in Rush's favor by making him a target of the folks his listeners don't care for and setting up easily-demolished straw man arguments people disregard. Its easier to just disregard who you disagree with politically or philosophically. A wiser man learns what they think and why. The best test of whether you're able to argue a point or not is if you can argue your opponent's case as well as he can. If you can do that, you truly understand the issue. If you're afraid to hear your opponent or are so filled with rage and hatred upon hearing it, chances are you're more driven by emotion and fear of being wrong than truth and knowledge. For instance, if you refuse to even consider watching the Daily Show or listen to NPR, or you cannot stand to hear the sound of Rush Limbaugh's voice and would never consider listening, you may want to reexamine your political positions. I don't care for the Daily Show primarily because people seem to think its actually news rather than one man's snarky attempt to turn his political opponents into buffoons. That doesn't mean he can't be funny, it just means he's so rabidly one-sided and willing to distort the information the show becomes offensive to me. And don't get me wrong: Rush will do that sometimes as well, and his callers will sometimes pull him up short on it. Jon Stewart rarely has anyone do that, and when he does, he slaps on his red clown nose and pretends he's just a comedian, so everything he does is okay. Rush usually pretends he didn't really mean what he said and changes the point subtly or claims it was sarcasm. As McClay points out, given the popularity and political power Rush Limbaugh holds, it really would be a good idea for his detractors and opponents to actually learn about the guy and understand what he's doing and how. The problem is, that would require them to actually take him seriously rather than disregard him as a cretin fat drug taking loser and his audience as anything but hick robotic sycophants. Even if those things were all true, it still would be wise to take him more seriously and learn about him if for no other reason than to deal with his power. 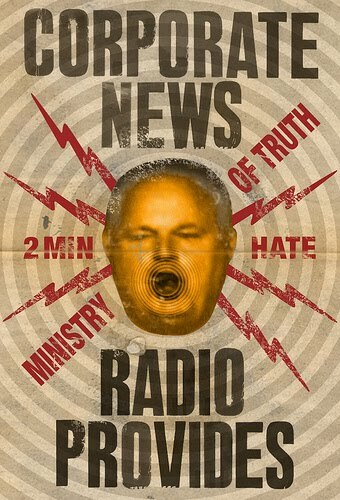 Rush Limbaugh is one of the most important and powerful political figures in American history, to disregard him as beneath your notice is simply idiotic. Like him or not, its not wise to just disregard him. For a time, Michael Moore seemed like he might be this kind of figure, but instead he turned into a caricature of himself who even his former supporters have turned against. They invested an awful lot into the agitprop film Fahrenheit 9-11 and found out that it didn't help them at all. The closest equivalent to Limbaugh is Jon Stewart, but for different reasons. Stewart doesn't tend to influence policy and elections, he influences how America is viewed and how enemies of the left are understood by the less politically astute and especially overseas. Thus, it behooves the right to understand and at least try watching the Daily Show to see what's being said and why about the left's enemies, such as Sarah Palin; and they tend to. Like Limbaugh, Stewart can be pretty darn funny, even if you disagree with him. The problem for too many on the left - and many on the right - is that they are so convinced they are correct, so unassailably right that they refuse to even consider heeding anyone but their own side. Surrounded by like-thinking individuals, quick to reduce their opponents to idiots and hatemongers, its easy to just brush them aside as if they are meaningless. But people like Sarah Palin are not meaningless; if for no other reason than their popularity, they deserve a serious and more importantly curious look. And it is this intellectual lack of curiosity which is most troubling among the very people who ought to be the most open minded and curious. Academics in particular are the most likely to mindlessly reject anything which slightly questions their worldview and ideas, which is the exact opposite of how they should behave. Simply refusing to have anything to do with your opponent doesn't show purity of thought or integrity, it shows fear of being wrong, it shows a weak intellect, and it shows you're not interested in finding out anything but that which supports your viewpoints and ideas. So give Rush a shot, even if you find him annoying or disagree strongly. Try NPR a few weeks, watch The Daily Show once in a while at least. Read Daily Kos or the Huffington Post, or Right Wing News or Ace of Spades HQ, to see what the other side thinks. You might surprise yourself. At the very least, you'll see news and information that the other side doesn't care about, doesn't want to talk about, or doesn't want others to know about. I agree, it is important to get information from a lot of different sources, and especially ones that are not ideologically on your side. Outside of the blogosphere, I probably watch/listen to liberal media outlets twice as much as I do conservative outlets (I actually tend to enjoy NPR quite a bit). I don't listen to Rush much becaue I don't care for his personality much and on 9 out of 10 issues I can guess exactly what his position will be, because it is the same as mine. What I don't like about Rush (or Bill Maher, or Chris Mathews, or John Stewart, or Shawn Hannity, etc...) is when he becomes more concerned with stirring controversy than being informing or entertaining, but that isn't a good reason to discount him (or the rest of them) in all other areas. Bill Maher is a great example, many conservatives (understandably) can't stand him and won't watch his show, but by doing so they miss out on some really excellent discussions and debates between conservatives and liberals (and conservatives tend to do very well on his show in these debates). I think Jon Stewart is funny, but not too informative. I tend to think of Rachael Maddow as being a closer equivelant (though much less popular) to a leftist Rush Limbaugh. What I'd argue though, is that as opposed to spending more time listening to various political pundits and news outlets, people need to search for deeper perspectives in general. CSPAN's weekend programming (BOOK TV) is a great source for such perspective on liberal, conservative, and libertarian ideas of the day. TED Talks, though weighted towards liberal idealism, offers meatier content than you are going to find on Fox, MSNBC, Rush, or Maddow. 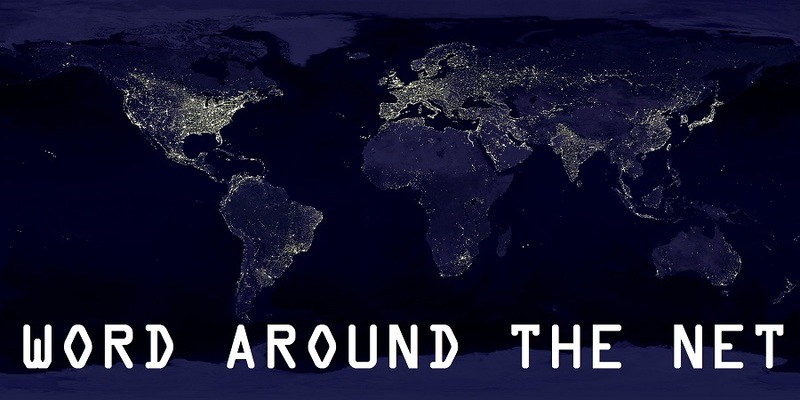 Plenty of blogs, including this one, take the sound-bytes of the day and expound on them in a way that is meaningful and adds value and understanding. The news networks and most radio shows simply don't do this. The bad news is that there is more crap out there than there has ever been in the history of human communication. The good news is, if you pursue to good stuff, it is also more available than it has ever been. Well said Christopher. I think that Rush like Bill O'Reilly tend to be legitimate political analysts. They are a bit more conservative then me but they actually look at the issues and look at them somewhat pragmatically. I wish more of the television and radio personalities did this. But in America and much of the world keeping people scared is a much better way to make money and to keep the people dumb.